Prevention is key to maintaining the health of your teeth and gums. That’s what those six-month dental checkups are designed to achieve. At these regularly schedule appointments, the family dentist in Natick will clean and polish your teeth, removing surface stains that could darken your smile. Plaque and tartar will also be cleaned away, thereby reducing your risk for gum disease, a bacterial infection that destroys gum tissue, supporting bone structure and can eventually lead to tooth loss. In addition, the dentist will examine each tooth looking for early signs of decay, cracks and loose fillings. 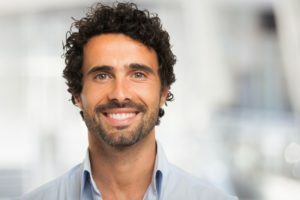 Caught early, these and other dental problems can be treated with basic restorative dentistry such as a tooth-colored filling or dental crown. Wait too long and the problem could grow and require more invasive—and more expensive—treatment. In order of importance, the appearance of your smile comes in a close second to the health of teeth and gums. That’s why the cosmetic dentist in Natick offers several cosmetic dentistry options. Could your smile use a brightening boost? In that case, there’s teeth whitening. Summertime is filled with photo-ops like weddings and graduations. If you have an important occasion coming up on the calendar then in-office whitening will brighten your smile in about an hour. Alternatively, there is also a take-home system that takes a couple of weeks to work, but offers the same dramatic results. If structurally damaged teeth are compromising your smile, then consider porcelain veneers. These are hard coverings that the dentist bonds to the facial side of teeth in order to upgrade your smile. Finally, Invisalign is an orthodontic system that uses barely visible mouth trays to gently move teeth into proper alignment. So, remember—you’re coming to see a dentist, not a judge. No tickets, no indictments, just good oral health care so you can smile confidently. Call your dentist today.